is a school providing free study for about 600 qualifying students who are taught by approximately 50 teachers. The school offers the students both a 4-year and an 6-year attendance. The students of both study periods take a written entrance test that should prove their ability to study. The number of lessons and the subjects are shown in tables 1 and 2 (Here). There is a choice of the following languages: English, German, French and Russian that can be studied as the first or second foreign language. In the penultimate year of study the students can select optional subjects that best meet the needs for their future study after the school leaving examination. The students take part in written and spoken tests so that they can be allocated to a suitable level and thus, in one group, there can be students from different classes. Three lessons per week are taught by a Czech teacher and two lessons by a native speaker. Those students who want to pass Cambridge First Certificate Examination of English (FCE) or gain Deutsches Sprachdiplom (DSD) can attend an optional preparatory course in their second and third years of the upper level. Studying computers is compulsory for all students. Within this subject they can learn programming, computer graphics or browse the internet. Our students can send and receive e-mails free of charge, the costs being covered by the School Foundation. The school has got its own web side. A psychologist regularly comes to school in order to provide professional help and advice to those students who need it. After finishing either a 4-year or 6-year term of study, the students have to pass a school leaving examination which at present comprises a written part in the Czech language and Maths and four oral examinations: the Czech language, a foreign language and two optional subjects. There is a possibility to take an exam in a fifth subject as well. The students of our school are regular participants in various sorts of competitions and often with very good results in both the regional and national rounds. They show their knowledge and skills in mathematics, biology, chemistry, physics, history, the Czech language and foreign languages. They are also successful in sporting events and competitions. The school was established in 1907 and there has been an extensive reconstruction of the building during the last few years. In 1998 additional grounds and buildings were bought. We have built a new gym, a spacious canteen, state of the art classrooms equipped for teaching art, music and computer studies. Now there are 20 classrooms and 12 special classrooms, 4 laboratories and 2 gyms at the students’ disposal. We can also provide accommodation for people who come to visit our school. It can be found in the new building and there is a librarian to guide the students on the selection of study material and books. Outside class hours the students can study privately in a self-access multi-media room equipped with personal computers and audio-visual aids. Except for textbooks used in language lessons, the students of the junior classes can borrow their textbooks from the school. 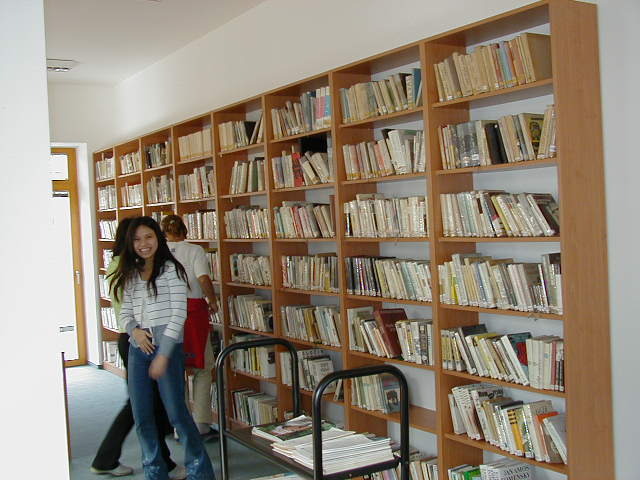 The senior students buy their textbooks. 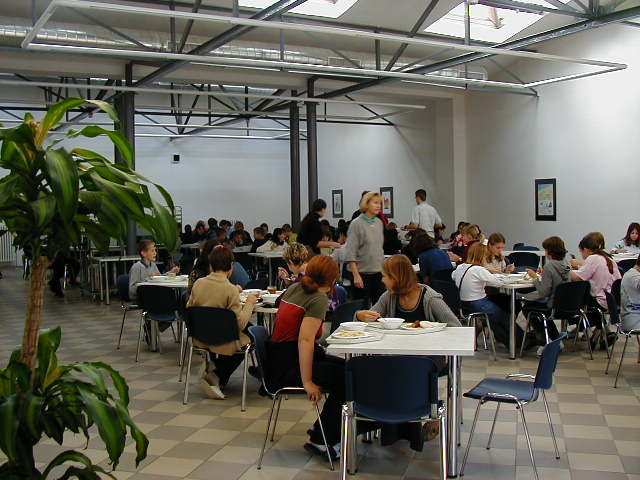 The students can have their lunch in the school canteen and they are offered a choice of three dishes. There is also a snack bar where students can buy light refreshments. All classes have one secure changing room at their disposal and each student can use a personal locker. This has been established for several years now. Each class elects two representatives. ?The parliament deals with the students’ school activities, needs and preferences. The meetings are called by the representatives or by the headmaster or his deputy. The mixed-voice choir has been in our school for several years and has about 50 singers. They give concerts for our students and for the public not only in our country but also in foreign countries, for example in Austria. 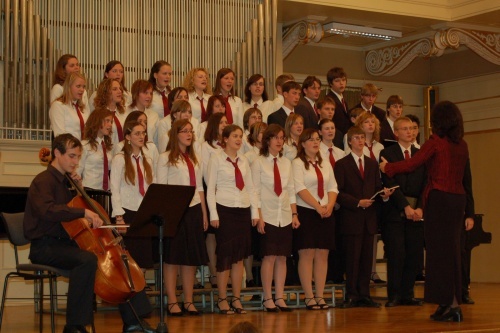 The school choir has had a partnership with a choir in Stuttgart in Germany for many years. Our school has had partnership contacts with France, Germany, Russia and Great Britain. The students make other trips to Great Britain every year. 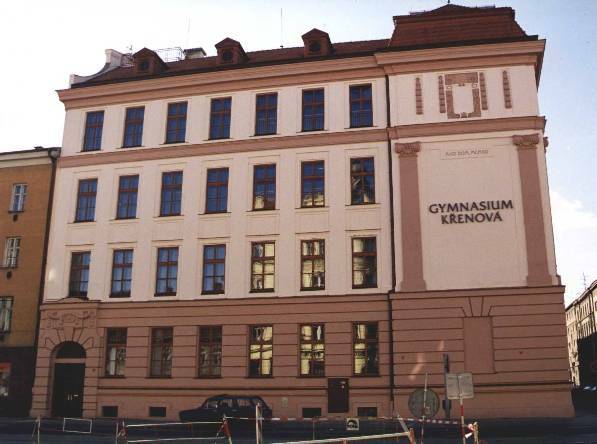 The school offers the students a choice of activities and they can choose how much or how little they want to participate: in cultural and historical excursions, concerts and theatre performances, sports events and competitions, peer group programmes – the drug prevention programme, ecological programmes including adopting animals in Brno ZOO, INTERDIALOG – an international meeting of secondary schools that are members of UNESCO, etc. Some students are very good at arts and show their pictures in exhibitions both in and outside the school premises. When at school, the students can spend their free time in a club room or they can play table tennis in the play room. If the weather is nice, they can sit and have a rest in the school garden. At the end of the school year the students can enjoy “The coloured day”, which is a day full of creative and interesting activities and lectures. A typical programme may include: pottery, painting on glass, decorating textiles, arranging dry flowers, lectures on astronomy, history, a musical performance, or a volleyball tournament. It was established in 1994 and its aim is to develop educational, cultural, editorial, sports and other beneficial activities within the school and in this way provide further education to the students and give the school a higher profile.